I love giving handmade cards along with presents to friends and family. But what about when the present IS a card? How do you make that a little more special? Gift cards can seem kind of impersonal, so I like to make a nice card to present it in - it makes it seem like much more of a present that way! 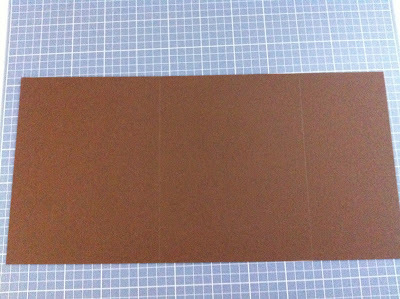 1) Start with a sheet of 8.5 x 11 card stock for the card base. 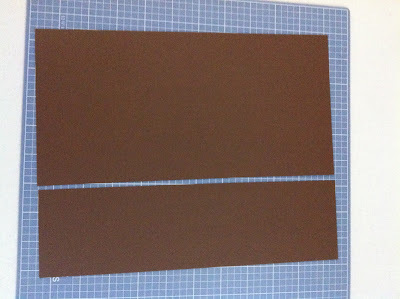 Make one cut at 5.5 inches so you have a piece measuring 5.5 x 11. 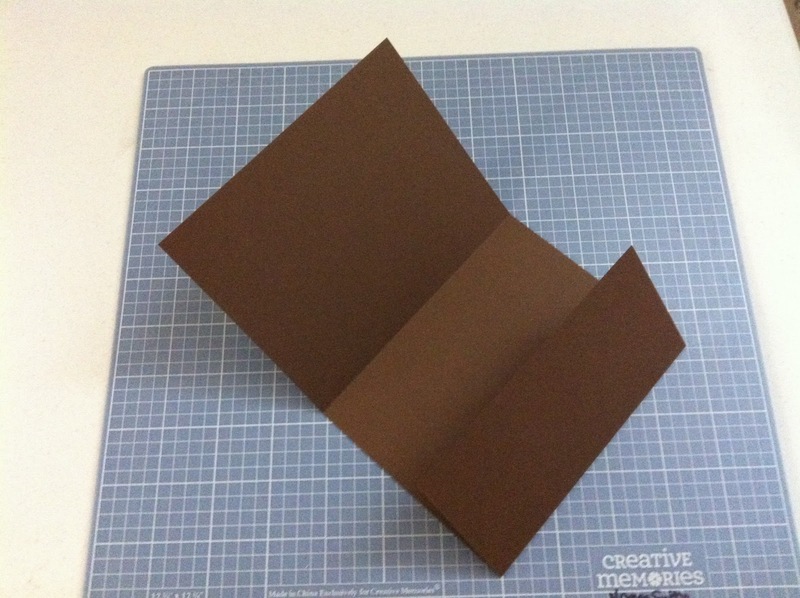 3) Fold the short end to the inside of the card. Round the corners of this short end if you like before you adhere. 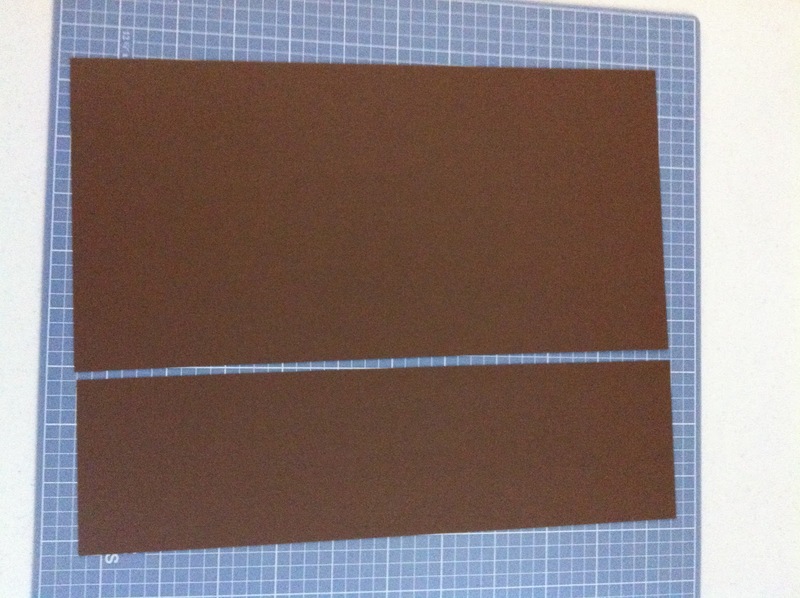 This will become the pocket for your gift card! Fold over the other end to make the front of the card. 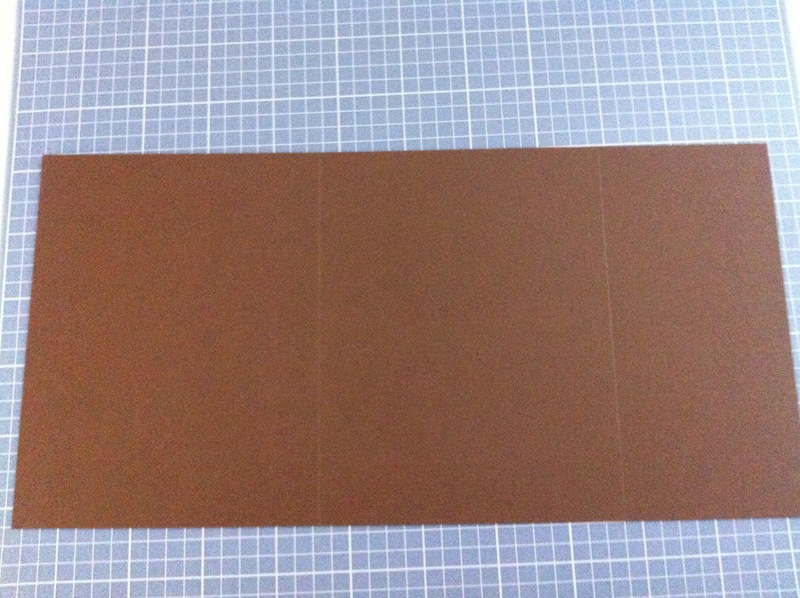 4) Decorate the front of the card as you like for the occasion. 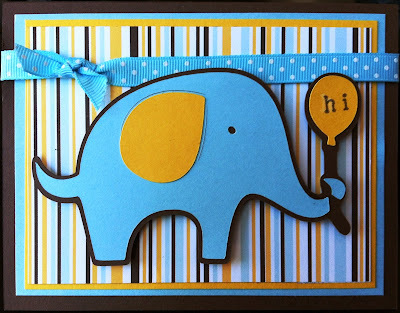 I found a piece of striped paper from my stash that had baby blue and brown in it (my favorite combo for a little boy) along with some gold, so I used those colors for the baby elephant, which I cut at 2 inches from CM's Stork's Delivery Cartridge. I mounted the elephant with Foam Squares and added a little piece of ribbon to finish it off. 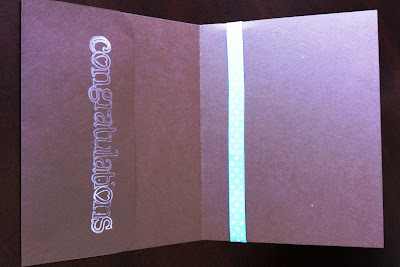 5) Stamp or write a sentiment on the inside flap and add the gift card to the pocket. 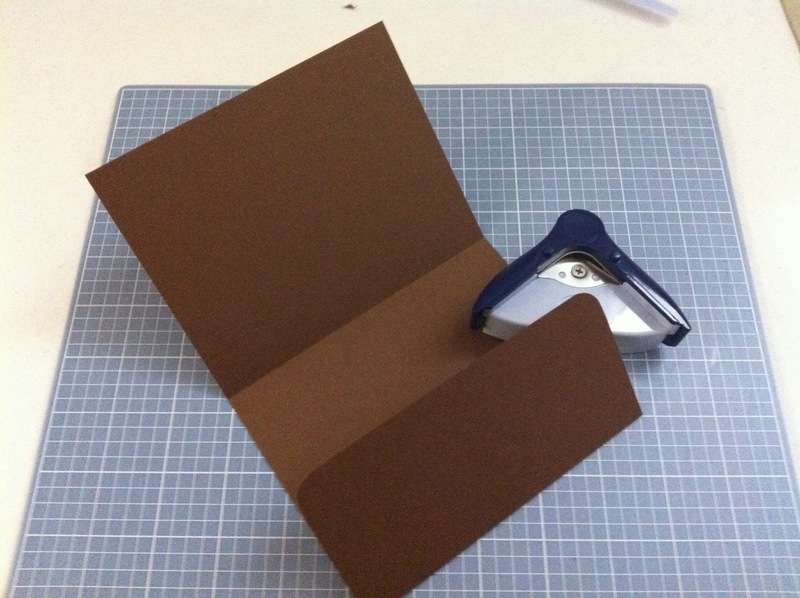 That' s it - a super easy gift card holder with only one cut a couple of folds and a little decoration! I can see making a few of these for Christmas and to have on hand for baby and birthday gifts! very cute!! 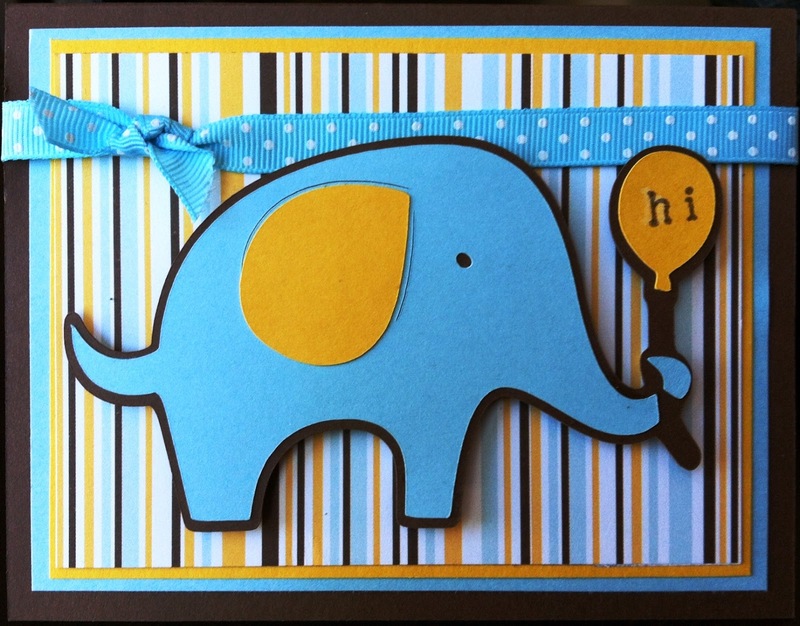 love the elephant!